Our goal is to hold a symposium in the late Spring on 2019, brining together researchers and clinicians to chart a path to finding a cure for these chronic pain syndromes. By whatever name it’s called — fibromyalgia, Chronic Fatigue Syndrome, migraines, osteoarthritis, low back pain, degenerative disc disease, complex regional pain syndrome, Chronic Lyme Syndrome, PANS/PANDAS (Pediatric Autoimmune Neuropsychiatric Disorders Associated with Streptococcus), and other encephalopathies – chronic pain impacts the lives of over 100 million individuals in the US alone. What many people do not know is that fully sixty percent of those burdened with chronic pain suffer with co-occurring neuropsychiatric disorders such as major depression, anxiety or bipolar disease. The combination of chronic pain and neuropsychiatric disorders is known as Central Sensitization Syndrome (CSS). The treatment success for a patient suffering from either chronic pain or a neuropsychiatric illness, is less than 50 percent. But for the those who suffer from both pain and a major neuropsychiatric condition, the recovery rate plummets to 10 percent. We need to find better ways of identifying, treating, and perhaps even preventing CSS. A starting point is the identification of relevant biomarkers. The model we propose to apply here parallels the way in which medicine is beginning to diagnose and treat cancer; that is, by using a battery of tests, such as genetics, blood work that includes an evaluation of byproducts of cellular metabolism (metabolomics testing) and an assessment of the proteins produced by different tumors (protionomic testing), as well as imaging studies such as CT scans and MRIs. Proposing and prioritizing future research efforts that will accelerate the process of identifying CSS biomarkers. Develop a plan for using artificial intelligence to analyse the CSS-relevant literature and data sets that are currently available to identify connective patterns and, potentially, predictive algorithms. We estimate that we will need to raise $75,000 to cover the cost of the meeting and publication of a whitepaper, so we need your help. We anticipate and sincerely hope that these conferees will become the nexus of a community of like-minded researchers who will continue their cross-disciplinary collaboration to identify CSS biomarkers and push forward on this important research front. President of the foundation of Total recovery. 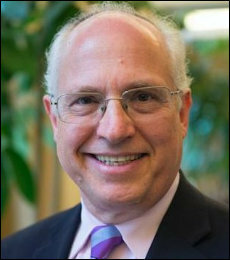 Founder and Medical director of the Kaplan Center for Integrative Medicine. Author of Total Recovery: A Revolutionary New Approach to Breaking the Cycle of Pain and Depression (Rodale, 2014). A clinical associate professor in the Department of Community and Family Medicine at Georgetown University School of Medicine, Dr. Kaplan is one of only 19 physicians in the country to be board-certified in both Family Medicine and Pain Medicine. Also board-certified in Medical Acupuncture, he has studied and practiced Osteopathic Manipulative Medicine, Emergency Medicine, and Herbal Medicine. In response to growing numbers of patients presenting with heavy metal toxicity, Dr. Kaplan received certification in the science and practice of chelation therapy, by The American College for Advancement in Medicine (ACAM). In 2013, Dr. Kaplan was appointed by U.S. Secretary of Health and Human Services (HHS), Kathleen Sebelius, to the Chronic Fatigue Syndrome Advisory Committee (CFSAC), where he served until 2017. Professor of Integrative Physiology of the Department of Biochemistry, Molecular & Cellular Biology and the Department of Medicine (Nephrology) at Georgetown University School of Medicine. A graduate of Brooklyn College, he received a PhD in Physiology (University of Cincinnati) and came to Georgetown in 1985 after spending 5 years at Mayo Clinic. For over 25 years, Dr. Haramati’s research focus was on regulation of kidney and electrolyte physiology during growth and in states such as heart failure. For the past decade, his activities have centered on medical education and rethinking how health professionals are trained. In April 2013, he was named the inaugural director of the Center for Innovation and Leadership in Education (CENTILE) at Georgetown University Medical Center (GUMC). Dr. Haramati led a broad NIH-funded educational initiative aimed at incorporating complementary, alternative (CAM) and integrative medicine into the medical curriculum at Georgetown, and currently co-directs the Physiology-CAM graduate program. Clinical Associate Professor Robert Wood Johnson UMDNJ Medical School and President International Lyme and Associated Diseases Educational Foundation. Board certified by the American Board of Psychiatry and Neurology in Psychiatry, is certified in Clinical Psychopharmacology by the American Society of Clinical Psychopharmacology and is Distinguished Life Fellow of the American Psychiatric Association. Dr. Bransfield’s primary activity is an office based private practice of psychiatry. In addition, Dr. Bransfield is the Associate Director of Psychiatry and Chairman of Psychiatric Quality Assurance at Riverview Medical Center in Red Bank, NJ. Past Immediate President of the International Lyme and Associated Diseases Society, Immediate President of the New Jersey Psychiatric Association. David Younger, M.D., MPH., M.S. Adjunct Clinical Associate Professor of Global Public Health at New York University. Clinical Associate Professor of Neurology at the New York University School of Medicine in the Divisions of Neuromuscular Disease and Neuro-Epidemiology. Dr. Younger has appointments at Lenox Hill Hospital a member of Northwell Health and White Plains Hospital in New York where he is Attending Physician in Neurology. He is a world-renowned expert in neurology and a highly-trained authority in public health and the author of several books, and over 200 peer-reviewed articles, book chapters, and abstracts. Holds Editorial Board memberships in various medical scientific journals and serve on the Board of Directors of the National Cooley’s Anemia Foundation. Dr. Lumpkin’s physiology laboratory primarily conducts studies in examining the regulatory relationships between the brain, endocrine glands, and the immune cells of the body. Lumpkin’s research examines how stress or stressors such as infectious agents (HIV), neuropeptides, stress hormones, and emotional trauma disrupt the brain hormone systems that govern sexuality, growth, metabolism, and immunity, thereby causing chronic disease. Specifically, his research has revealed why stress and HIV infection cause failures of growth, puberty, and growth hormone production in pediatric AIDS patients, body wasting and sexual dysfunction in adult AIDS patients, and exacerbation of immune systems failure in HIV/AIDS. He has extended these scientific investigations into understanding how certain complementary medications and mind-body techniques (relaxation/biofeedback) reduce stress and improve the hormonal and immune status of the body. Lumpkin also discovered and patented the use of a peptide hormone receptor binding compound to block the damaging effects of the HIV/AIDS virus on nerve cells in the hypothalamus of the brain and on cells of the pituitary gland, thereby restoring normal brain hormone function that leads to improvements in chronic illnesses. Susan Douglas knows persistence and perseverance. Douglas was 21 when her car skidded off a road. She returned to medical school a paraplegic in less than a year, where she was a trailblazer. In 1996, she began practicing academic neurology at UCLA. Changes in health care and insights from her own medical experiences, moved her toward public policy and a fellowship with the Senate Finance Committee’s Healthcare Subcommittee, where she drafted legislation that is law today. She is now on the faculty at UCLA in a health services research program, developing research to study ways to integrate people with chronic illness and disabilities into their communities. Active in community service she fights barriers wherever she finds them. Professor in the Department of Medicine and Division of Infectious Diseases and Geographic Medicine at the Stanford University School of Medicine. 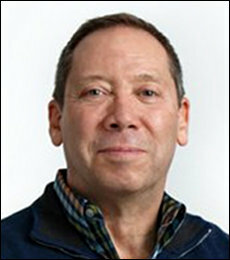 Director of the National Reference Laboratory for the Diagnosis and Management of Toxoplasmosis in the United States at the Palo Alto Medical Foundation in Palo Alto, California. He has authored and co-authored more than 100 publications in peer-reviewed journals along with book chapters. Fellow of the American College of Physicians (FACP) in recognition of commitment to the internal medicine community and Fellow of the Infectious Diseases Society of America” (FIDSA) for having achieved professional excellence in the field of Infectious Diseases. Professor in the department of Biochemistry and Cellular and Molecular Biology and the Division of Integrative Physiology. She holds a master and doctoral degree in reproductive physiology and steroid biochemistry from Pierre and Marie Curie University, Paris, France. As the co-founder of the CAM educational initiative at Georgetown University School of Medicine. Dr. Amri has led the CAM graduate program since its launch in 2003.Her line of research is the introduction of a novel systems biology-based paradigm to cancer diagnosis, prognosis, treatment assessment, and biomarkers discovery using genomics, proteomics, and metabolomics data and parsimony phylogenetics. Dr. Amri’s research has attracted funding from both NIH and the private sector. She published a significant number of scientific papers, reviews, and book chapters and her latest publication is a book on Greco-Arabic medicine, linking the 21-century bio-medicine to Hippocrates and Avicenna.